Actually living off the grid is rare, but millions of American homeowners can truly call themselves homesteaders. That’s because the Federal Government – and most state governments too – extend special legal protections to homeowners’ primary residences. Generally known as “homestead exemptions” (and the properties they protect generally known as “homesteads,” or “homesteaded properties”), these statutes exist to protect owner-occupants from excessive taxation, provide shelter for surviving spouses after their partners pass on, and shield some or all homestead equity from certain types of creditors. The federal homestead exemption applies specifically to homeowners filing bankruptcy. State homestead exemptions tend to be broader, with provisions that shield homeowners from some property taxes and, following death, provide their surviving spouses and dependents with protections against unsecured creditors and other claimants trying to seize their primary residence. Homestead exemptions generally apply to detached and single-family homes, condominiums, and manufactured homes on land owned or leased by the homeowner. They do not apply to rental properties, vacation homes, and other residential properties that do not qualify as primary residences. Provided they own the properties in question, individuals who can prove that they act as heads of household for properties whose residents qualify as their dependents can declare those properties as homesteads, regardless of where they actually live. For instance, if you’re a single, unmarried individual who rents your primary residence, owns your elderly parents’ home across town, and takes full financial responsibility for them (including paying the mortgage and making necessary repairs), you can likely claim it as a homestead. However, in all cases, a single head of household or married couple can only have one homestead, even if they own or act as heads of households for multiple residences. Under Section 522(d)(1) of the U.S. Bankruptcy Code, homeowners can exempt a portion of the ownership interest (equity) in their primary residences from unsecured creditors (such as credit card issuers) whose loans aren’t secured by borrowers’ property. As of 2016, the dollar value of the exempt property interest is capped at $23,675 for single individuals and heads of household filing bankruptcy, and $47,350 for married couples filing bankruptcy jointly. This is the amount that they’re owed if the property is seized and sold to satisfy outstanding debts. It rises every three years to keep pace with inflation. Many states also have homestead exemptions that protect homeowners facing bankruptcy. The amounts of these exemptions can be higher or lower than the federal exemption. Homeowners are generally permitted by state law to choose between the state or federal exemption. California: Single, able-bodied homeowners (with or without dependents) can exempt up to $75,000; heads of household living with a family member can exempt up to $100,000; and disabled and elderly homeowners can exempt up to $175,000. These limits apply to married couples as well – there’s no doubling of the exemption under California law. Georgia: Most single homeowners, with or without dependents, can exempt up to $21,500. The state provides for an additional $5,000 that can be applied to any property, including homestead real estate. The exemption is doubled (to $43,000) for married couples. Illinois: Single homeowners, with or without dependents, can exempt up to $15,000. Married couples can exempt up to $30,000. North Carolina: Most single homeowners, with or without dependents, can exempt up to $35,000. Homeowners over the age of 65 whose spouses are deceased can exempt up to $65,000. Married couples can exempt up to $70,000. Ohio: Single homeowners, with or without dependents, can exempt up to $132,900. Married couples can exempt up to $265,800. If the value of your home is less than the value of the pertinent state or federal homestead exemption, it can’t be sold off to satisfy your creditors in bankruptcy. In the more likely event that your home exceeds the value of the homestead exemption, it can be sold in bankruptcy. However, your creditors don’t get the full proceeds. You (or you and your spouse, if you’re married) get to keep a lump sum equal to the value of the individual or joint homestead exemption. You can use this sum as you see fit, including as a down payment on a new home or as a security deposit on an apartment. Importantly, the homestead exemption does not protect your primary residence against foreclosure. If you become delinquent on your mortgage, you can’t remain in your house simply because it’s your homestead. The homestead exemption also may not apply against other loans or debts secured by your interest in your home, such as mechanics’ liens and FHA renovation loans. If you’re unsure whether a specific type of debt is covered, check with a real estate attorney licensed to practice in your area. If your state does not have its own homestead exemption, you can take advantage of the federal homestead exemption during a bankruptcy filing. However, most states with homestead exemptions (though not all) are more generous than the federal exemption. That’s the case in Massachusetts, where the homestead exemption ranges up to $500,000, per the Norfolk County Registry of Deeds. In other cases, the state exemption does not specify a dollar limit. Instead, it applies to a specific acreage, so its generosity depends on the value of the underlying property. For instance, Iowa lets homeowners protect their entire homestead interest, subject to an acreage limit of 0.5 acre in incorporated cities and towns, and 40 acres in rural areas and unincorporated communities. Some states with homestead exemptions opt out of the federal system. If your home state is one, you have to use the local homestead exemption. If your home state lets you choose between the state and federal exemption, you can do so – probably by choosing the more generous of the two. The federal Bankruptcy Abuse Prevention and Consumer Protection Act (BAPCPA), passed in 2005, imposes some important limitations on state homestead exemptions in bankruptcy. The most important is the closing of the so-called “mansion loophole,” through which heavily indebted individuals established residency in states with favorable homestead laws, parked their available cash in homestead real estate, and declared bankruptcy shortly thereafter. This frequently occurred in Florida, which had a lenient, acreage-based homestead exemption. Like the standard federal homestead exemption, the BAPCPA exemption rises periodically to keep pace with inflation. It applies in all 50 states, and supersedes state law whenever a conflict arises. Whereas the federal homestead exemption is designed specifically to protect homeowners against unsecured creditors in bankruptcy, state homestead laws are broader. They generally protect individual heads of household, married couples, and sometimes single individuals (including dependents and non-dependents). Shelter for Surviving Spouses. 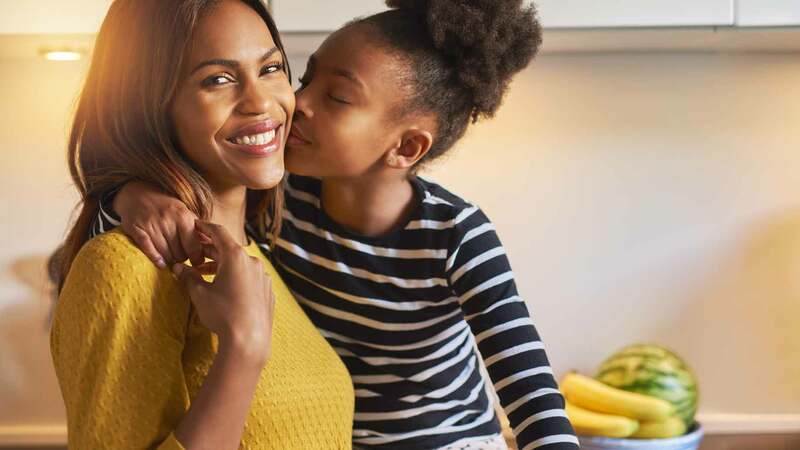 Homestead statutes generally provide surviving spouses and dependents, including minor children, with protection against claims from unsecured creditors, such as credit card issuers. They also provide surviving spouses and dependents with protection against claims from the deceased homeowner’s former spouse and other children or stepchildren, even if the homeowner’s will does not specify that the property was to be left to the new family. To remain eligible for this protection, surviving spouses or their families must provide (and pay) for covered properties’ upkeep and maintenance, property taxes, and mortgage payments, if applicable. They must also maintain the property as their primary residences, and may forfeit their homestead rights after moving elsewhere, even if they retain the inherited properties. Protecting Assets in Bankruptcy. An unsecured creditor generally cannot force the sale of homestead properties when the owner’s interests are less than the relevant statutes’ homestead exemption dollar values, or when the property is smaller than the acreage limits. When the owner’s interests are larger than the pertinent dollar values or acreage limits, a creditor may be permitted to force a sale, but the owner is entitled to retain the maximum proceeds allowed by law. Limiting Exposure to Property Taxes. Many (but not all) state homestead statutes limit property owners’ exposure to local property taxes by exempting part of their value from tax assessment calculations. For instance, in a state with a $50,000 homestead property tax exemption, a homeowner living in a homestead with an assessed value of $200,000 pays property taxes as if the home were worth just $150,000. Property tax exemptions do not affect the resale values of homes, and homeowners retain the right to vote on property tax levies and increases in their municipalities and school districts, even if their homesteads are completely exempt from taxation. In some states, certain demographic groups are entitled to more generous property tax exemptions. For example, per the Texas Comptroller of Public Accounts, every Texan homesteader is entitled to a $25,000 property tax exemption for school taxes, but disabled and over-65 homesteaders enjoy an additional $10,000 exemption. State homestead laws often shield homeowners insurance proceeds from creditors for a set period of time (usually one to two years, but potentially longer) after a covered event that severely damages or destroys a homesteaded property. Homestead statutes do not give homeowners carte blanche to stiff creditors or local tax authorities. Some state statutes are more generous than others, but none are absolute. Additionally, homesteaders must understand their state statutes’ requirements for homestead maintenance. For instance, in some jurisdictions, even temporarily renting out a homesteaded property constitutes abandonment and can void the protections afforded by state statutes. The following is a representative sample of state homestead statutes. Keep in mind that their content, especially dollar values, are subject to change as new laws are enacted. For up-to-date information about homestead laws in your locale, check with your state legislature or housing authority. Property Tax Exemption: All Texas homeowners can claim a school tax exemption of $25,000, reducing the assessed value of their properties by $25,000 for local school district taxation purposes. Legally disabled and over-65 homeowners can claim an additional $10,000 school tax exemption. Texas counties are permitted to allow “optional” homestead tax exemptions up to 20% (or $5,000, whichever is less) of assessed value for county tax purposes (separate from school district taxes). For example, Harris County, where Houston is located, offers a 20% county tax exemption. Counties can offer additional optional exemptions of up to $3,000 for over-65 and disabled homesteaders. Certain counties offer additional exemptions for certain demographic groups or classes. For instance, Harris County homeowners whose military service-connected disabilities render them unable to work can claim a 100% exemption on county taxes. Creditor Exemption: Subject to the 40-month BAPCPA residency requirement, Texas law allows homestead owner-occupants to exempt an unlimited dollar value from seizure by unsecured creditors. In incorporated cities and towns, an exempt property can be no larger than 10 acres. In rural areas, the size limit is 100 acres for individual landowners, and 200 acres for families. Property Tax Exemption: Florida law allows homeowners to exempt the “first” $25,000 in assessed value from all taxation, and the “third” $25,000 from non-school taxation. Basically, a home worth $75,000 is taxed as if it were worth $25,000 for the non-schools portion of the homeowner’s tax bill, and as if it were worth $50,000 for the schools portion of the bill. Creditor Exemption: Subject to the BAPCPA residency requirement, Florida law allows an unlimited dollar value exemption. In incorporated municipalities, an exempt property can be no larger than 0.5 acres. In unincorporated areas, an exempt property cannot be larger than 160 acres. Property Tax Exemption: There is no property tax exemption for homesteads in Massachusetts. Creditor Exemption: Massachusetts automatically exempts $125,000 in home equity from creditor seizure. Homeowners who file homestead declarations with their local registry of deeds (county recorder) can exempt up to $500,000. Disabled individuals of any age, as well as non-disabled individuals aged 62 and older, enjoy personal exemptions up to $500,000 each. 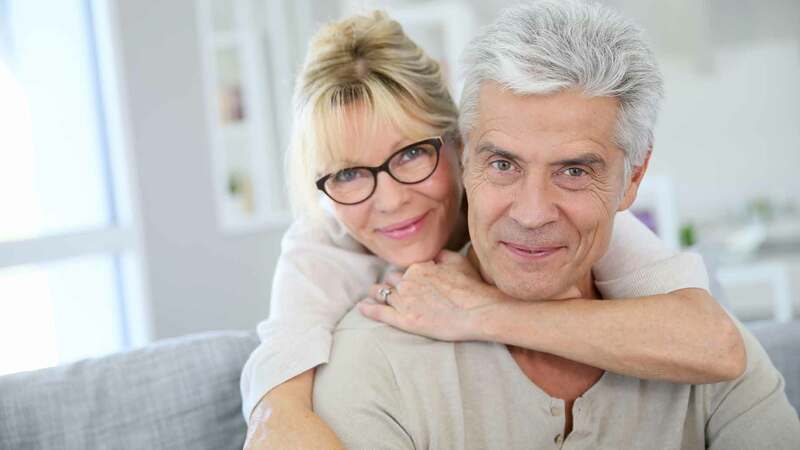 This means that a couple whose members both qualify as disabled or are both over age 62 can exempt up to $1,000,000. Property Tax Exemption: Kansas homesteaders can apply annually for partial property tax refunds. The refunds apply to general property taxes only, and do not apply to tax on property valued at more than $350,000. The maximum annual value of the refund is $700. Low-income homeowners (those who earn less than $19,100 in annual income) aged 65 and older may qualify for the Kansas Property Tax Relief refund, which returns 75% of property taxes paid each year. Creditor Exemption: Subject to the BAPCPA residency requirement, Kansas allows an unlimited dollar value exemption. Homesteaders in incorporated municipalities can exempt up to a single acre, while homesteaders elsewhere can exempt up to 160 acres. The procedure for homesteading a primary residence varies by jurisdiction, but is generally neither difficult nor expensive. In most states, a residence earns homestead status simply by virtue of the homeowner closing on the property and declaring it his or her primary residence. In Nevada, Virginia, and Vermont, a formal homesteading procedure is required. Even in states where formal homesteading is not required, the formal declaration of a homestead confers important protections, such as the continuation of the homestead designation and the protection of sale proceeds from creditors for a set period (which varies by state) after the home is sold. In general, the homesteading process follows this outline. For instructions specific to your locale, check with your state or city housing authorities. Evaluate Your Property’s Eligibility. Review your state’s homesteading statutes and determine whether the property you wish to protect meets applicable eligibility criteria. Keep in mind that, under BAPCPA, you may be unable to protect the full value of your home if you’ve lived there for fewer than 40 months. Determine Whether Your State Requires a Declaration. Most states do not require homeowners to formally declare homesteads. To determine whether your state does, check with your state housing authority or local recorder’s office. Where a formal declaration is required, the authorities generally provide standardized or sample forms that you can fill out online or by hand. For example, the Clark County (Nevada) Recorder’s Office provides a standard, one-page form online. Once you get the form, figure out whether you’re required to file your declaration on a recurring basis (for instance, Vermont requires annual declarations) or just once. Gather the Required Information. The information required to declare homestead varies by state, but typically includes the assessor’s parcel number (APN), the property’s address, a legal description of the property (with dimensions and bounds), the owner’s interest in the property, and the property’s current residents (including dependents). Most of this information can be found on the property’s deed. Complete and Notarize the Form. Using the information you’ve gathered, fill out the form completely. If your local recorder requires homestead declarations to be notarized, bring it to a notary with accepted proof of identity, and sign it in the notary’s presence. Depending on where you notarize the form, this step may require a nominal fee, often around $5. File the Form. File the completed, notarized form at your county recorder’s office. While homestead declaration forms are not highly complex documents, it is imperative that your form is completed properly – and your recorder’s office staff is not likely to provide useful advice on this front. If you’re at all concerned about your ability to fill out your form on your own, consult with an attorney – in the event that you do have to invoke your homestead rights, the hour or two in attorney’s fees will quickly pay for themselves. Obtain Written Confirmation of Filing. Your recorder’s office should provide a copy of the filed declaration bearing the recorder’s stamp. This indicates that it has been filed and is on record. Though homeowners insurance and homestead law bear little resemblance to one another in a legal sense, they both protect against catastrophic losses that can change a family’s life overnight. Just as you’d like never to file a claim with your home insurer, you’d prefer never to test the limits of your state’s homestead exemption for bankruptcy filings or occupancy allowances for surviving spouses. But, when all is said and done, it’s comforting to know that at least some of your interest in your primary residence is partially protected from misfortune. 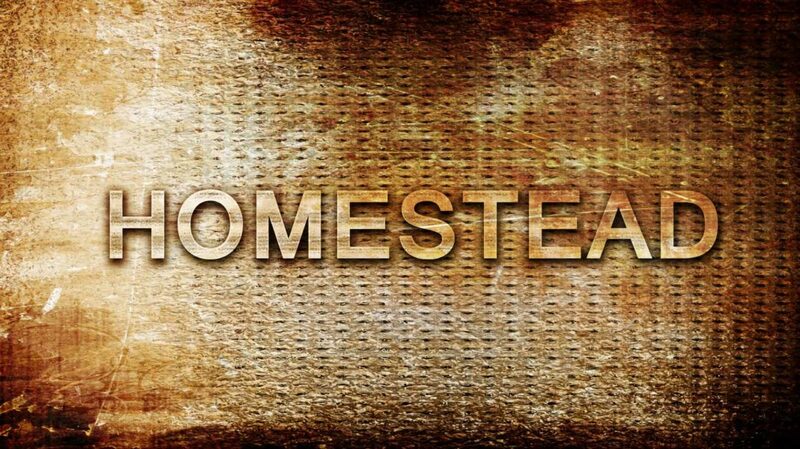 Do you live on a homesteaded property?